Home › All About God › What is the Meaning of the Hyssop Used to Help Satisfy Jesus’ Thirst on the Cross? 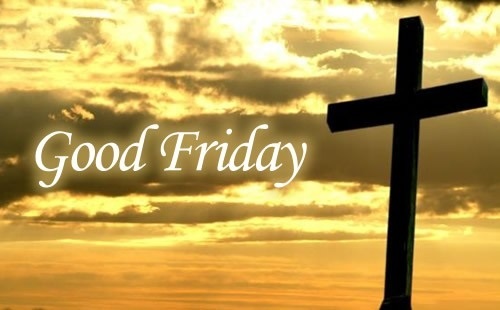 Good Friday is the day Christians traditionally commemorate the crucifixion of Jesus. The story of Jesus’ crucifixion is told in all four Gospels, each offering its own variation on the main theme. A casual reader might skip right by John’s statement that the stick on which the sponge was lifted up to Jesus’ lips was a stalk of the hyssop plant. But for anyone well-versed in the Hebrew Bible (commonly known to Christians as the Old Testament), that little detail jumps right off the page. In the Hebrew Bible, hyssop branches are used in various rituals of cleansing. And they play a critical role in the story of the Israelites’ Exodus from slavery in Egypt, marking who would be saved from the death that struck the firstborn of the Egyptians. In saying that the stick used to help satisfy Jesus’ thirst when he was on the cross was a hyssop branch, John is invoking the symbolism associated with it. The symbolism of hyssop says something about the thirst of Jesus—and about how we humans, who commemorate Jesus’ death on this day, can help to satisfy that thirst. And according to Emanuel Swedenborg (1688–1772) in the very act of satisfying Jesus’ thirst through doing what is symbolized by offering Jesus wine vinegar on a stalk of hyssop, we ourselves are transformed in mind and heart. What is the significance of the stalk of hyssop? What does it mean that Jesus was thirsty? And what is the meaning of bystanders satisfying Jesus’ thirst in the particular way they did? Like other Christian commentators, Swedenborg bases his interpretation of hyssop in the Bible on its use in ceremonial cleansing rituals. However, he interprets it somewhat more abstractly than most traditional Christian interpreters. It refers, he says, especially to the cleansing properties of truth in relation to the human spirit. In Exodus 12:21–23, Moses gives these instructions to the people of Israel, whom God is about to rescue from their slavery in Egypt. “And you shall take a bunch of hyssop” symbolizes the outward means by which purification is brought about. This is clear from the meaning of “hyssop” as outward truth, which is the means by which purification is brought about. It says that they were to take a bunch of hyssop because “a bunch” refers to truth and the arrangement of it. The reason “hyssop” symbolizes outward truth as a means of purification is that all spiritual purification is brought about by means of truth. It is only through truth that we recognize the earthly and worldly types of love from which we must be purified. When the Lord instills this truth into us, he also fills us with horror at those types of love as being unclean and damnable. The effect of this horror is that when something similar enters our thoughts, the feeling of horror returns, causing us to turn away with loathing from those types of love. This is how we are purified by truth as an outward means. There are many others. And of course, they include desires for actions specifically prohibited in the Bible, such as theft, lying, adultery, and murder, that we engage in for our own benefit and pleasure. These, Swedenborg says, are cleansed by “external truth,” meaning the basic commandments of the Bible that prohibit this type of focus on self-indulgence and prohibit us from engaging in these evil desires and actions. When we accept the truth of those Biblical teachings, it causes us to see the evil thoughts, feelings, and actions we have indulged in as wrong, sinful, and horrible. We begin to feel a sense of loathing for everything related to them. In this way, our desires, thoughts, words, and actions are cleansed from these wrong and evil things. This is the symbolism of hyssop as a key element in many of the cleansing rituals of the Old Testament. People who think about this passage only materially, and not spiritually, may assume that there is nothing more to it than that the Lord was thirsty, and he was given vinegar. However, the reason he said “I am thirsty” was that everything the Scriptures said about him was then fulfilled—and he came into the world to save humankind. His being “thirsty” means that from divine love he willed and desired the salvation of the human race. But his being given vinegar means that in the religion that would come into being after his time, there would be no real truth, but only truth mixed with falsity. This is the sort of truth that exists with people who separate faith from charity, or truth from good. That is the meaning of “vinegar.” Their putting it on a hyssop stalk means a certain amount of purification of that truth mixed with falsity, because hyssop symbolizes an outward means of purification—as explained in Secrets of Heaven #7918. Swedenborg first says that since this event is presented as fulfilling Scripture, it must have greater meaning than Jesus simply being thirsty and being given vinegar to drink using a sponge and a branch of hyssop. If there were nothing more to it than that, it would be a trivial thing, and not worthy of being recorded in the Gospels. The scene, Swedenborg says, relates to Jesus’ “thirst” to save the human race. After all, that was Jesus’ purpose for coming into the world: to save humanity from the power of evil and spiritual death. What else would he be thirsty to do? Surely the thirst of the One who was God with us (Matthew 1:23) would not be mere parched lips and tongue! His thirst was a thirst of the soul! And his greatest thirst was to bring salvation to all people. That is what Jesus Christ thirsted for on the Cross! The “vinegar” that he was given to drink symbolizes the mixture of true and false beliefs that exist in the mind of religious people here on earth—including Christians. This meaning of “vinegar” is based on the meaning of “wine” as used in the Holy Supper, where “wine” means divine truth, which is the “blood” of Jesus. Vinegar is a soured form of wine. So instead of being pure divine truth, vinegar means truth mixed together with falsity. Or in plain terms, vinegar means church people having some beliefs that are true, and others that are not true. Now let’s expand on Swedenborg’s interpretation of John 19:28–30 based on statements he makes elsewhere in his writings. As explained above, “hyssop” symbolizes purification and cleansing—which is why it was used in various rituals of cleansing in the Bible. The vinegar-soaked sponge was put on a branch of hyssop to satisfy the Lord’s thirst—which is a thirst to save the human race. So the hyssop branch symbolizes cleansing that mixture of truth and falsity in the minds of faithful Christians when we use our beliefs—whether or not they are entirely true—to satisfy Jesus Christ’s thirst to save the human race. Okay, that’s still a bit of a brain-bender. What does it all mean in practical terms? We humans do not have a perfect understanding of the Word of God. Much of what we believe is actually a mixture of true and false ideas about what the Bible teaches. And if we have the humility to recognize that our understanding is poor and imperfect, we may think that we can’t possibly be worthy of spreading the good news of Jesus Christ to others. Jesus doesn’t ask us to have a perfect understanding of God, the Bible, and theology before we go out to “make disciples of all nations.” He only asks us to use what we have learned, as mixed and imperfect as it may be. And when we use even our mixed and faulty understanding of the Gospel message in an effort to satisfy the Lord’s desire to save all people, it becomes purified in our mind and heart because we are using it from a willing mind and a good heart to do the Lord’s work here on earth. Don’t worry about whether you’re “good enough” or “smart enough” or “doctrinally correct enough” to spread the good news of your faith to those who need it. Even if you think that all you have to offer is cheap, sour “vinegar,” share your faith with others anyway. If you see someone who is struggling with doubt, depression, and despair, offer a word of faith, hope, and love. Remember, Jesus accepted and drank the wine vinegar that was offered to him. And the hyssop on which it was offered means that even our cheap and shoddy efforts to reach out to others with our faith are blessed and purified by our Lord, God, and Savior Jesus Christ. ‹ What is a Parent’s Role in the Spiritual Life of Adult Children? This is beautiful! It gives heart to know that those wish to spread the word and knowledge of Christ’s life and teachings here on Earth are truly on a good path, even if the facts get a bit muddled sometimes. Being introduced to Christianity through the lense of Swedenborg’s writtings, I’ve always felt a certain clarity that I wasn’t sure other Christians ever knew. I’m always impressed by their enthusiasm when I see it, regardless of the church they come from. Maybe, if Christ’s main message of love and community are understood, then the hows and whys don’t need to be perfect. Humans certainly…are not perfect. Thanks for your kind words. Glad you enjoyed the piece! Thank you for sharing this in-depth article. It was quite helpful. I have gained some more understanding. Thanks for stopping by, and for your kind comment. I’m glad the article was helpful to you! Godspeed on your spiritual journey. Thank you for the indepth explanation. It has helped me understand myself. Thanks for stopping by, and for your comment. I’m glad this article was helpful to you. Godspeed on your spiritual journey!